The LSE: Bypassing the Road to Serfdom? We watched the graph; up, surely, it spiked. We glanced across to the traffic referrers, and in an instant the trajectory was explained: WordPress.com featured mediolana.wordpress.com once again in their education tag section. 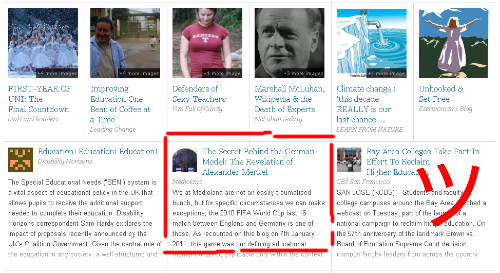 AC Milan and Germany midfielder Alexander Merkel, the subject of our 17th May 2011 blog post, is clearly a subject that the world’s biggest blog provider deems worthy of serious consideration. As Possibly the World’s Most Interesting Blog.™ continues to surprise, we wish to say a big danke to Alexander and WordPress.com. Coming soon on mediolana.wordpress.com: the United Arab Emirates, China and much more! 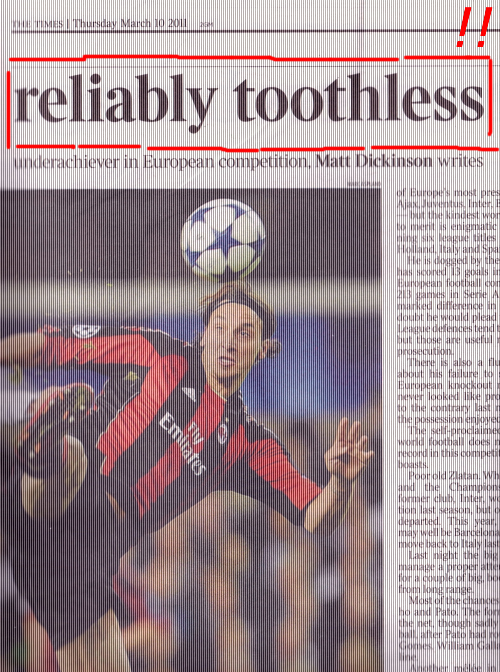 Flicking through the 10th March 2011 edition of that erstwhile paper of record The Times, a large article headed up Ibrahimovic proves reliably toothless provided Mediolana with much mirth. The piece concludes that AC Milan’s 0-1 aggregate defeat to a gritty Tottenham Hotspur in the 2010-11 Champions League last sixteen was characterised by a listless Zlatan Ibrahimovic, with the Swedish striker of Balkan origins patronisingly labelled as ‘enigmatic’, his apparently poor performance against English opposition all too predictable. The dry facts are a little more complex, however: Ibrahimovic, who has been far and away the club’s outstanding player in his first season with the Rossoneri, had a spectacular overhead kick ruled out in the first leg for a hairline offside infringement; in the second instalment, he toiled tirelessly against an impenetrable Spurs defence and could so easily have been a hero had his deft touch to Robinho in the final minutes been rewarded with the goal it deserved. Moreover, against English opposition, his record is rather less uncertain than many would believe: not only did Ibrahimovic score two exemplary goals at the quarter-final stage of the same competition last season – against Tottenham’s north London neighbours Arsenal – but he struck the only goal of a 2004 international match against England in Gothenburg. What does this combination of suspect evaluation and amnesia tell us, apart from confirming that the chances of ‘Ibra’ being objectively assessed by the UK press is a slim one? Perhaps more than anything else, it shows the difficulty of communicating certain types of talent in cultures which do not necessarily value or recognise these. Individualistic cultures are fond of extolling the virtues of self-expression and diversity, but even the most open ones – and contemporary British culture is in some ways paradigmatically eclectic – do not always live up to this ideal. A player such as Zlatan Ibrahimovic – gangly, languid-looking, impossibly skilful – may pass entirely beneath the radar precisely because he is so gifted; one only has to recall the example of Matthew Le Tissier, an attacking midfielder who consistently scored goals seemingly authored in comic books, yet was inexplicably overlooked for the English national team, where creativity has been at a premium for most of the period since 1990. Students should be aware of this phenomenon, too: when communicating ideas, it is worth taking into account that brilliance is often culturally contingent and not necessarily a rationally observed attribute. A unique interpretation of the October 1917 Russian Revolution or a searing critique of modern natural science may be besmirched as much as welcomed. This should not stop the generation and advocacy of original material, but students – like Ibrahimovic, who has never been contracted to an English club – would do well to know who their audience is, and seek it out elsewhere if necessary. Mediolana: the Best Blog on WordPress? With tens of millions of blogs on WordPress.com and our first entry only being posted on 1st January 2011, Mediolana would not presume to be ranked amongst the best blogs on this portal. 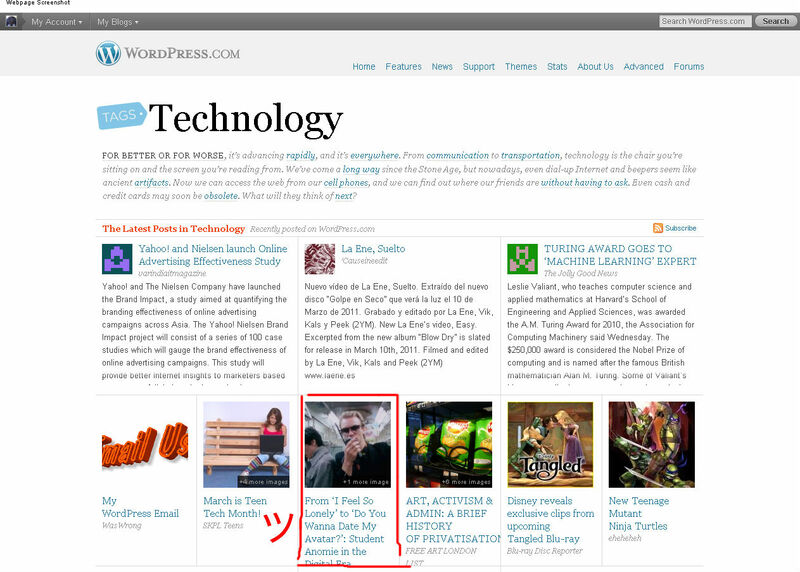 However, the people at WordPress.com itself seem to be differing: on 10th March 2011, mediolana.wordpress.com was featured not once but twice in two separate categories: technology (pietured) and education. This is some honour for Mediolana, and we hope to be worthy of our burgeoning readership well into the future. Next up: Zlatan Ibrahimovic as a creative paradigm! Pakistan: the Next Candidate for Revolution? An absorbing piece splashed across the front page of this week’s Epoch Times (2nd-8th March 2011, UK edition) depicts another country in the Greater Middle East on the verge of mass revolt: Pakistan. As in many other developing nations, the price of basic items is stretching the patience of the general population, but Pakistan faces a particularly acute energy supply problem. Despite having the sixth largest coal reserves in the world and more sunshine – and therefore solar power potential – than anyone sane can really stand, the Pakistani government is engaging in what is euphemistically termed ‘load shedding’: planned (and increasingly, unplanned) electricity cuts and gas rationing designed to ameliorate the country’s chronic energy shortages. The result of this policy has been nothing less than a tearing of the fabric of everyday existence: small businesses are suffering chronic financial losses, with many companies resorting to mass layoffs or wage reductions; manufacturing industries are seeing a 30-40% rise in production costs; and householders cannot even cook meals for large portions of the day as the provision of liquefied petroleum gas (‘LPG’) is often highly irregular. 5. The ideology of conspiracy. This is such a key element of the national culture of Pakistan that it is reminiscent of the diaries of Stepan Podlubny. The son of a Ukrainian Peasant, Podlubny’s chronicle of life in the 1930s Soviet Union depicted a world permeated by the idea that the failures of Stalinist society were not the result of repressive autocracy or economic planning gone mad, but instead a vague and omnipresent notion that a great conspiracy was to blame. Analogously, in large sections of Pakistani society, the concept that Pakistanis themselves might have something to do with the parlous state of their nation is met with carefree denial: the United States and India (probably acting in combination), the West, being in the wrong geographical location and almost anything else that comes to hand are instead at fault for Pakistan’s legendary graft, insecurity, inequality and injustice. A country in which self-examination is notable only by its absence is not fertile ground for meaningful reform.